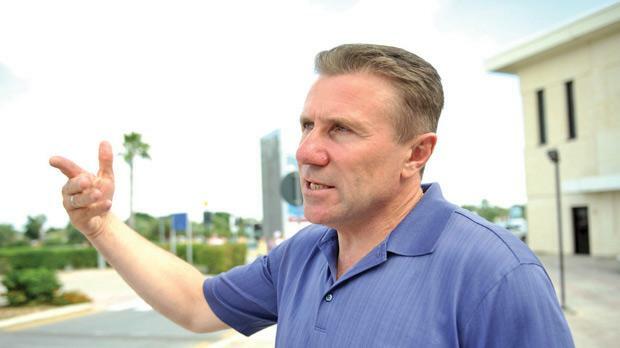 Pole vault legend Sergei Bubka arrived in Malta yesterday to attend the European Athletics Convention at the Corinthia San Ġorg between today and Saturday. Bubka, vice-president of the International Association of Athletics Federation (IAAF), is re-presenting the world organi-sation’s chief Lamine Diack who could not make the trip for the assembly at St Julian’s. Bubka told The Times he was delighted to be back in Malta after his first visit of 2007. “Malta is a lovely place and I’m really happy to be here a second time,” the 49-year-old said at the airport where he was welcomed by Athletics Malta official Valerie Farrugia. As from today, Bubka will be joined by delegates from all parts of the continent to discuss various key topics with the main item on the agenda expected to be a cam-paign aimed at attracting more participants to the sport as the European Athletic Association (EAA) looks to promote health and fitness as a lifestyle. “Sport has been an integral part of my life,” Bubka, a six-times world champion, said. “My involvement in sport has had a positive effect on my formation. I think it is very important that children involve themselves in active sport. “Unfortunately, in our society there is a growing trend among the young generation to delve them-selves in front of a computer for most of their free time instead of taking up a sport. Discipline and professionalism have been the foundation on which Bubka built his stellar career. Born in Luhansk, he attracted world attention when he leapt to gold in the Helsinki worlds in 1983. After that he never looked back. Bubka was a dominant figure in pole vault, winning six world titles and going on to improve his world outdoor mark for an impressive 17 times. He became the first man to surpass the six-metre barrier, pushing his record to 6.14m in Sestriere in July 1994. The Ukrainian also boasts the world indoor record – 6.15m in Donetsk, in 1993. Despite his great success in the worlds, for some reason or another Bubka failed to leave his mark in the Olympics, having ended his career with just one gold medal, in Seoul ’88. “For me, sport is a very serious matter,” Bubka said. “I am very proud of my achieve-ments and I hope that my con-tribution has helped to make pole vaulting a more popular sport than it was before. Asked whether he sees a natural heir to his throne, Bubka has a clear candidate. “Renaud Lavillenie, of France. He is a very talented pole vaulter who can achieve great things in future. “People say that my records are difficult to beat but I disagree. Bubka is now in his second term as vice-president of the world athletics governing body and spe-culation is rife that he will contest the presidency next year. The Ukrainian, however, is not looking too far ahead. “Sports administration is equally demanding but I think I’m doing fine in this job as well,” Bubka said. “Lamine Diack has given a lot to track and field and I am happy to collaborate with him during his presidency.